Casseroles are a popular make-ahead meal for a reason—they are one of the easiest dishes to prepare, freeze, and reheat whenever you’re ready (with minimal cleanup, too!). But many casseroles tend to be pretty heavy carb and meat focused meals. Yet when I started researching recipes, I was pleased to find a handful of healthy casseroles that incorporate lean proteins and fresh veggies too. As a vegetarian, two of my very favorite freezer meals are this vegan lentil loaf (with lots of kale and mushrooms) and this 1-hour vegan shepherd’s pie (I sub in cauliflower for half the potatoes). I made both of these dishes during my third trimester, doubling the recipes so that I could freeze half for after baby was born. Soups and stews are another perfect pick for the freezer. 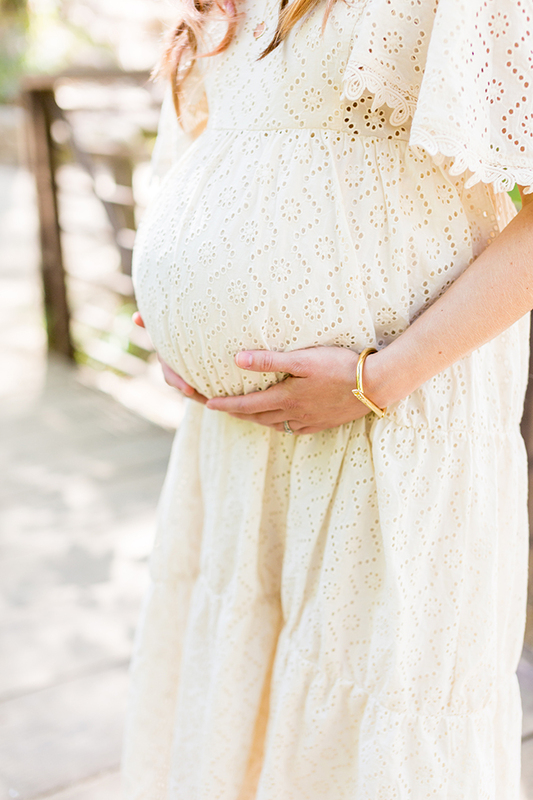 Even if your baby is born in the spring or summer months, many cultures believe in the benefit of eating warming foods during the postpartum period. When I was pregnant, I made and froze a couple of the soups from The First Forty Days: The Essential Art of Nourishing The New Mother (I highly recommend this cookbook for any mama-to-be). You can divide your soup between several quart or gallon-size freezer bags, and defrost in those smaller portions during the first few weeks with baby. While warming foods are often recommended postpartum, there’s also something to be said for a meal or snack that you can drink one-handed while simultaneously rocking or nursing a baby. It’s easy to take pretty much any smoothie recipe you like, toss all the ingredients (sans liquid) into a baggie, and then store it in the freezer until you’re ready to add liquid and blend it up. If you don’t have time to pre-package smoothie ingredients yourself, I’d also highly recommend a service like Greenblender or Daily Harvest that does all the legwork for you. I had never thought to freeze muffins until recently, but they actually reheat surprisingly well. When I was pregnant this last time, I made and froze these healthy pumpkin muffins and these blueberry baked oatmeal muffin cups. (Both recipes are gluten-free, refined sugar-free, and dairy-free!) When I was ready to eat them, I would just stick the frozen, fully cooked muffins in the toaster oven on bake for 10-15 minutes, and they would taste just as if they were freshly made.